UK start-up operator, British Fibre Networks has started work on its first installation - a new build apartment block in North Wales for housebuilder, LW Group. The company says that it will begin further work shortly on developments in Cheshire and Liverpool. 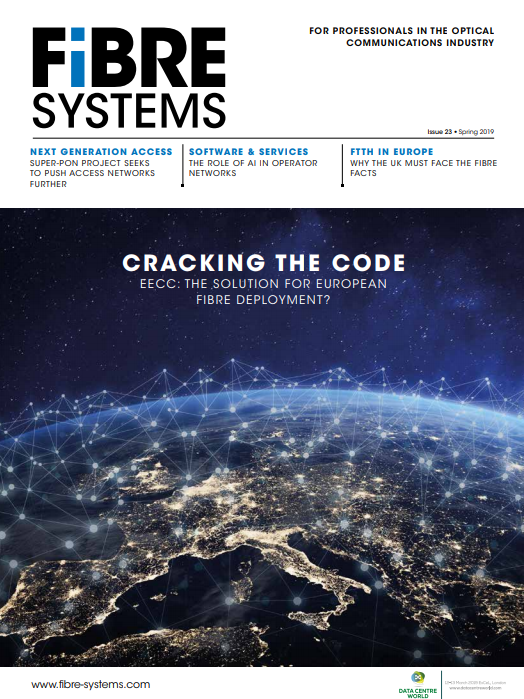 Launched at the start of the year by former CEO of the i3 Group and subsidiary H2O Networks, Elfed Thomas, British Fibre Networks’ ambition is to connect more than 35 per cent of new build homes to pure fibre by 2020 (see Former i3 Group CEO returns with ambitious broadband plan). Working in partnership with house builders, the fibre network infrastructure provider offers pure fibre-to-the-home connectivity and a choice of Internet Service Provider (ISP) to new homeowners. The company says that it has signed up more than 2,000 homes in the past month. British Fibre Networks gets involved with a project’s installation at the digging stage, laying fibre cables to each new build property. Following securement of the plot, homeowners will have a choice of broadband providers from British Fibre Networks’ ISP partners. Homes are equipped with a Voice over Internet Protocol (VoIP) system to enable phone calls, which will be managed by British Fibre Networks, ensuring consistent connectivity regardless of whether the customer changes ISP. Speaking of the first deployment in North Wales, Thomas, stated: ‘For too long, builders and homeowners have been misled by companies who claim to offer “full fibre” when the last tail of that network is actually copper. Even if the new government proposals for UK-wide full fibre broadband by 2033 come to fruition, the ambiguity around the term will no doubt continue, unless stricter regulations are put in place to prevent misuse of the term. Our approach has surpassed government policy, and we aim to add value for house builders who can now offer a home with genuine pure fibre connectivity.